Accessibility Champ! 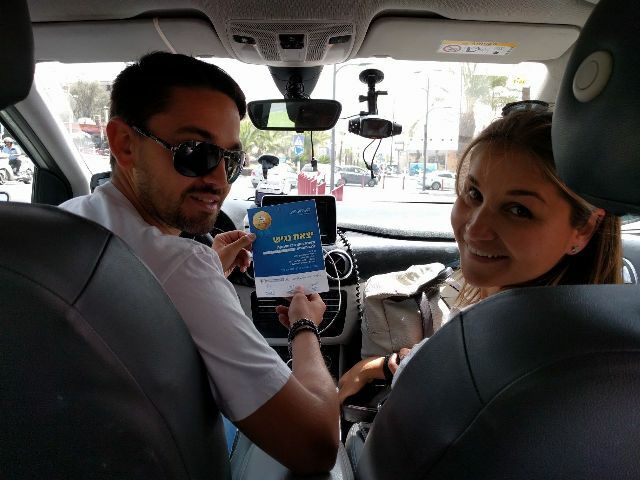 A special Access Israel campaign conducted with Ben Gurion University in Eilat to promote awareness to the provision of accessible service among taxi drivers in Eilat. The campaign was conducted at the opening of tourist season, on Tuesday, 23 May 2017, 09:00-19:00. 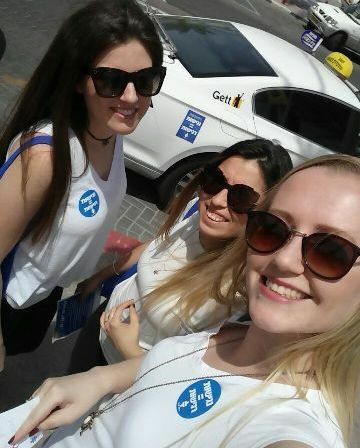 The campaign was born as the practical element of a final project submitted by students of social work at Ben Gurion University in Eilat who work with Eilat residents with disabilities as part of the “Community Pathways” Program and in response to increasing complaints filed to the association and revealed in the media regarding disabled people who are not served by taxi drivers and, at best, are provided with poor, disrespectful and insensitive service, derived mainly of a lack of awareness and understanding of how to provide service to people with various disabilities. 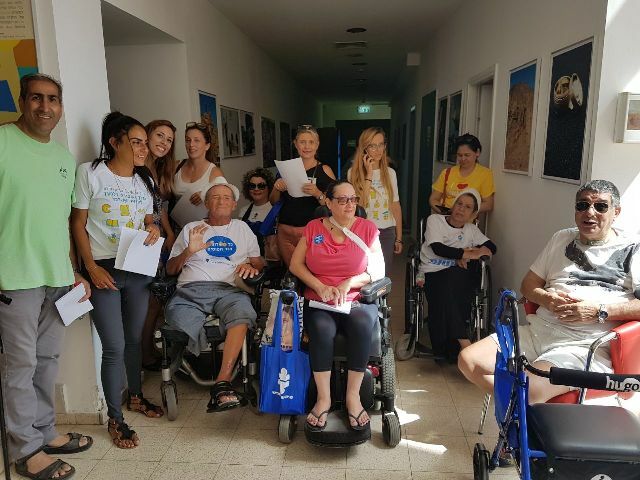 Beyond Access Israel and Ben Gurion University Eilat, the campaign is joined by the Eilat Municipality Social Services Department and Joint Israel Division of Disabilities. 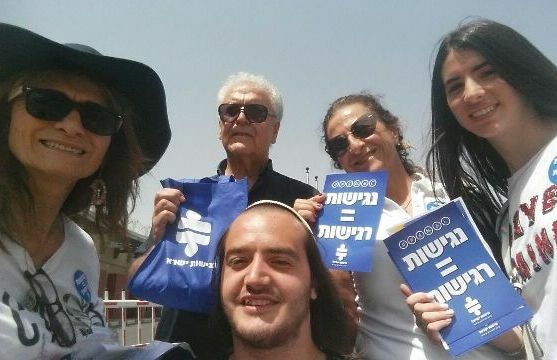 Approximately 50 volunteers, including Access Israel Eilat and Aravah volunteers who joined forces with volunteers of other organizations – Eilat Municipality, Yad Sarah, Shachmon Community Center, Ben Gurion Campus, Krembo Wings and more – set out to several centers throughout the city to meet over three hundred taxi drivers and offer information and training. 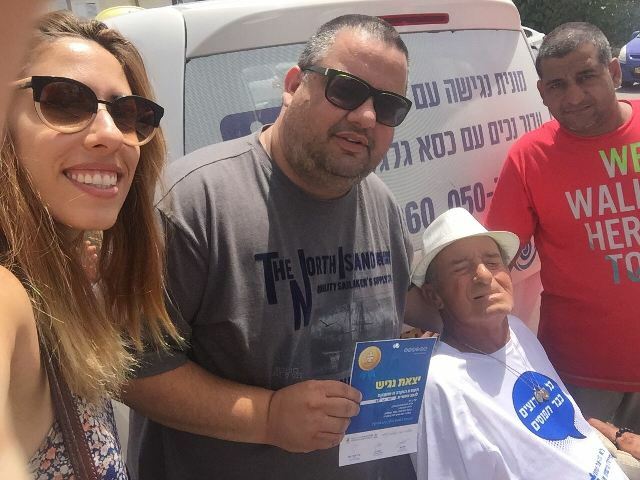 The campaign was aimed at providing taxi drivers in Eilat with information on providing accessible service to people with disabilities, prioritizing, taking guide dogs, demonstrating honesty and fairness, assisting with wheelchair transport and more. We requested accessibility, patience, courtesy and sensitivity. We asked them to abide by the law and enable people with disabilities to ride regular and accessible cabs with dignity. 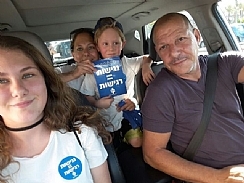 People with apparent and unnoticeable disabilities, sight impaired, hearing impaired, people on wheelchairs and more ordered taxis as mystery customers and upon arriving at their destination, they issued an “Accessibility Champ” certificate to drivers who served them properly. Information booths were set up at the airport, Yoseftal Hospital, Mall Hayam and more. Information pamphlets were distributed to the taxi drivers and at dispatch stations. Drivers were given a magnet bearing the “Accessibility = Sensitivity” slogan. To our satisfaction, most drivers cooperated, listened and even smiled to the camera.